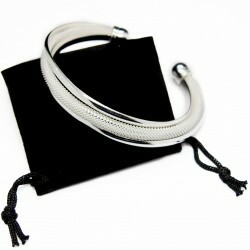 Trendy silver twisted cuff bracelet that is listed under the women's bracelets category on our discount jewellery website. 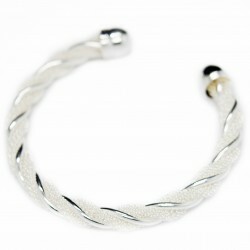 This cuff bracelet is easy to put on and to wear, and adapts easily to any wrist size. 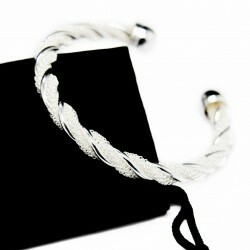 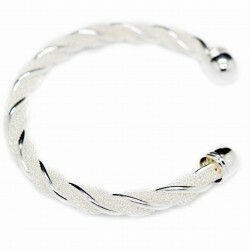 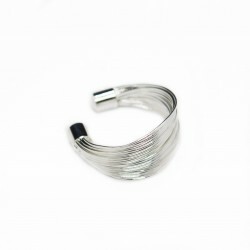 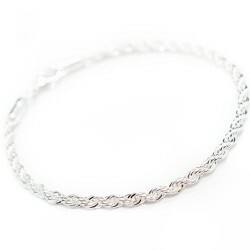 This quality discount jewellery was created in a unique way, with two cylindrical rods twisted together,one that is smooth and slightly smaller, and the other that has a mesh pattern. 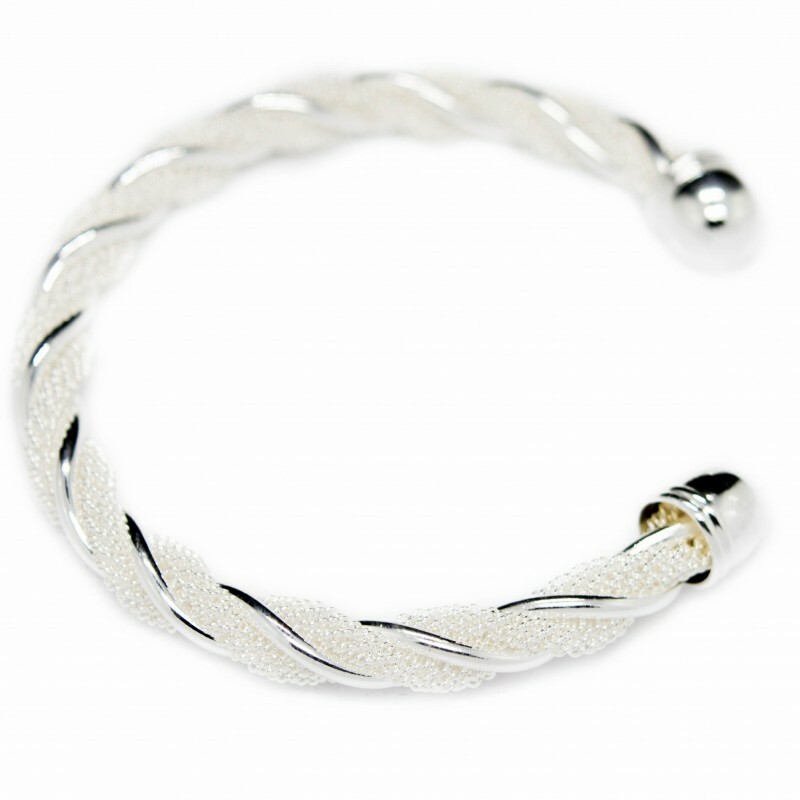 This special mix of textures gives a particular shape to this piece of jewellery and that is one of the reasons why women can’t go without it.